As most people know, I’m a huge fan of the “new” Battlestar Galactica that ran during the first decade of this century. The original Battlestar series never did much for me, the hokeyness and pure cheese content rubbed me the wrong way, even as a child. The new show, however, really spoke to me with its darker and more realistic approach (I’ve yet to see anything else on TV or in the movies that successfully captured the feel of living on a warship), and the sci-fi setting gave fertile ground to talk about many of the post 9/11 issues that were too sensitive or taboo to discuss otherwise. I picked up this resin kit at JerseyFest last weekend. 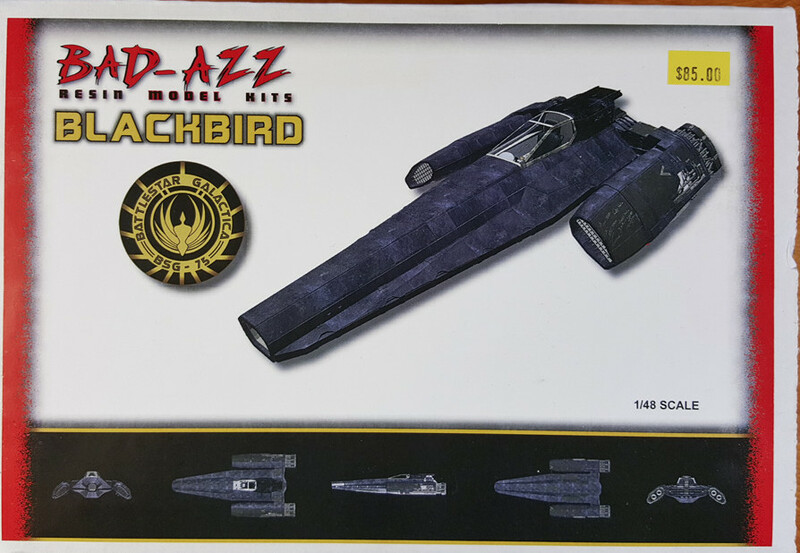 The Blackbird is a fighter that had a short life in the new Battlestar series, only a few episodes if I remember correctly, before it went out in the blaze of battle. It’s one of the more unique craft, though, and one that’s always interested me. 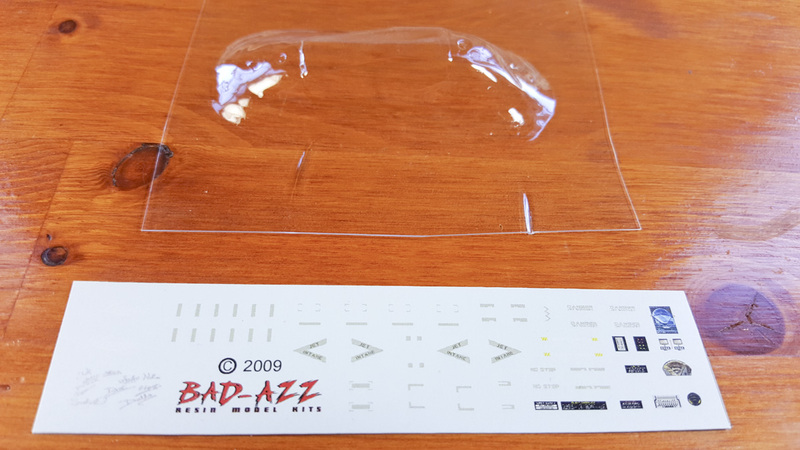 Bad Azz is a company that works in resin. 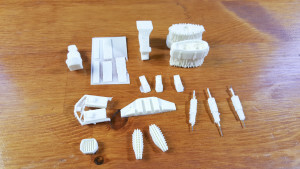 Their quality is amazing, with very clean castings. 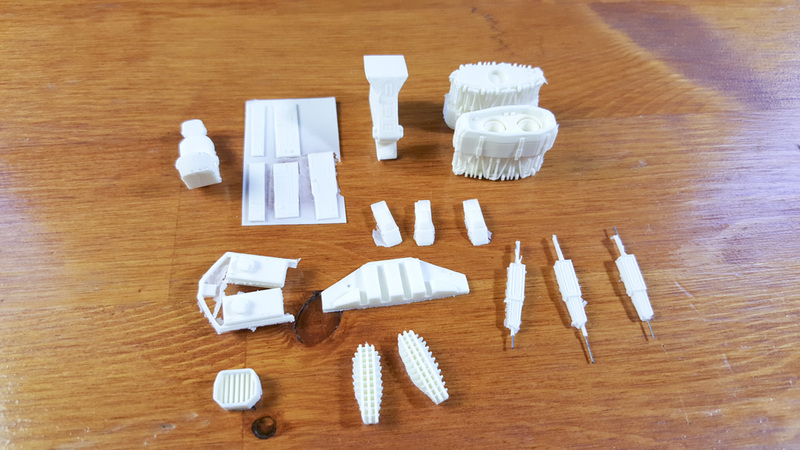 Parts breakdown is such that there are relatively few pieces in this kit, even though it is 1/48th scale, and highly detailed. A quick inspection of the kit shows maybe two air bubbles.. 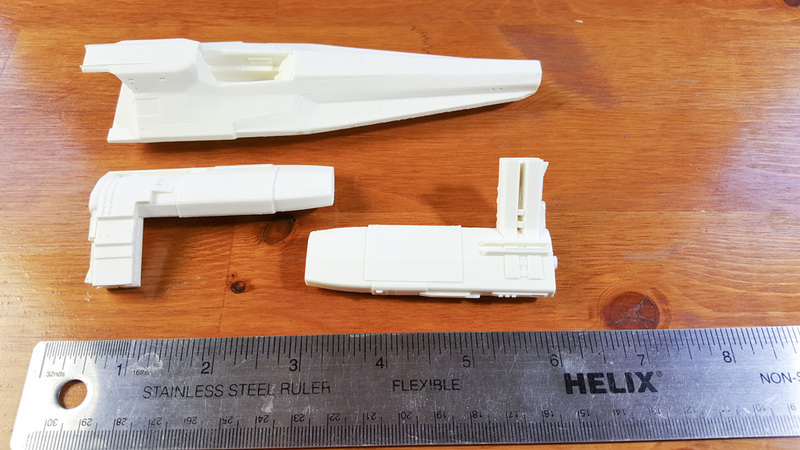 The landing gear are resin cast, as are all components, yet they are cast around metal supports, so you won’t have to worry about sagging resin gear in the future. 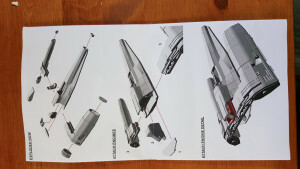 The model can be built sitting on those gear, or with them retracted for an in-flight display. The canopy comes in vacuum-formed clear plastic, and can be displayed open or closed. For printed matter, decals are included, with various markings and signatures. In one of the episodes, many of the characters in the series signed this ship, and those signatures are included. The instructions for the ship are well done in exploded view, 3D CAD color. Test-fitting shows that the parts go together easily, with mounting reference pins and holes present. I foresee few issues with the kit, and have actually moved it up on the “to be built” pile. The only downside for some will be the price: at $85 it’s on the high side for some, but for high-quality resin, it’s well worth it.